Clocks developed and ready for announcement Cold War Creations. The Glass Clock #3 IN-18 is the largest glass case clock with IN-18 Soviet Nixie tubes. This is a new clock using IN-18 tubes. 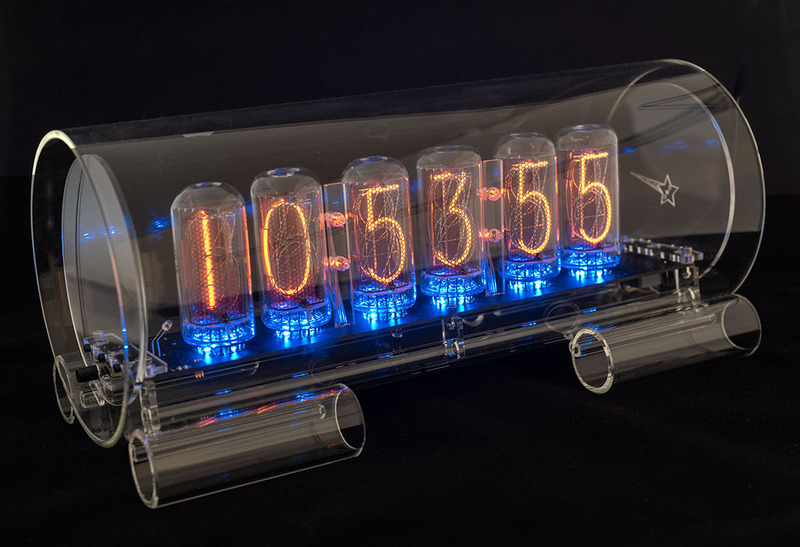 The Large Glass Clock #3 IN-14 is a glass case clock with IN-14 18mm Soviet Nixie tubes. Available with Blue LED floor lighting option, and IN-14 fine grid tubes option. 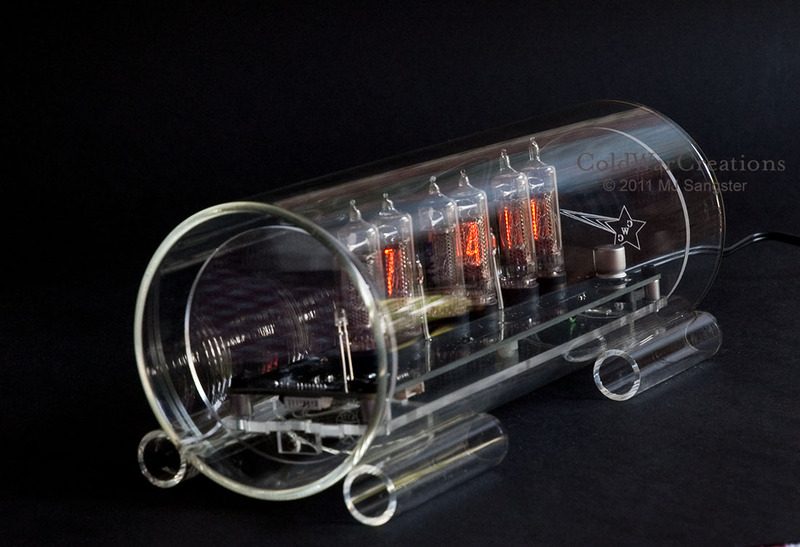 The Large Glass Clock #3 IN-8-2 is a glass case clock with IN-8-2 18mm Soviet Nixie tubes. IN-8-2 tubes have the same size digits as the IN-14's, but use a different glass envelope and proper '5' digit. Available with Blue LED floor lighting option, and IN-8-2 fine grid tubes option. Clocks no longer manufactured from Cold War Creations. The Glass Clock #3 Mini is a smaller glass case clock with IN-16 Soviet Nixie tubes. The clock is no longer available due to the shortage of IN-16 tubes. The Strelka Clock is a IN-16 Soviet Nixie tube based clock using a unique acrylic arrow shaped case. The clock is no longer available due to the shortage of IN-16 tubes.